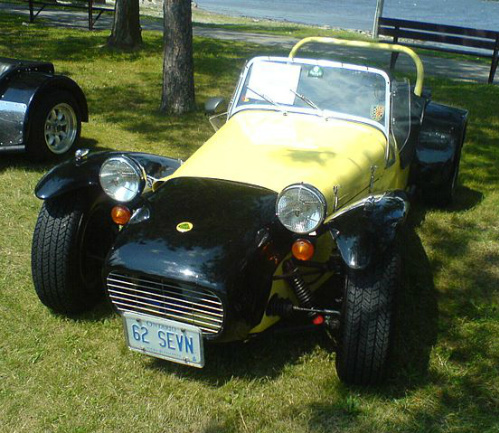 The Lotus Seven Series 2 sports car was launched in July 1960. The result of these changes was an associated reduction in the costs of production. In January 1961, the Series 2 was now powered by the 997 cc, Ford 105E engine as used in the Ford Anglia saloon. In mid 1961, the 105E was replaced by the 1340 cc, Ford 109E engine as used in the Ford Consul Capri saloon. The biggest problem with the Series 2 was the Standard 10 back axle which, under acceleration, would tend to leak, resulting in a seized differential. The solution was to increase the strength and number of bolts attached to the casing of the differential. However, this problem did not detract from its popularity, with the Series 2 outselling the Series 1. The fact that the car appeared in the TV series "The Prisoner" also helped in the marketing of the Series 2. In September 1962, the Ford 109E engine was replaced by the 1498 cc, Ford 116E unit, as used in the later Ford Consul Classic saloon. It was fitted with a single SU carburettor. 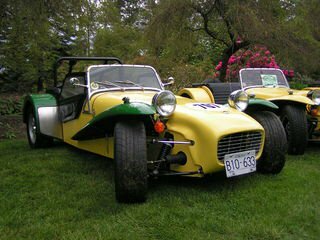 However, by this time, Lotus was beginning to move away from its roots in the kit car market to concentrate more on producing up market sports/racing cars. 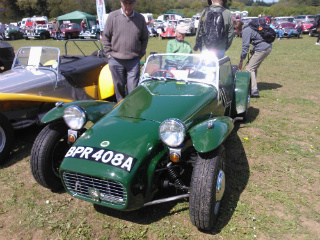 Colin Chapman had never been wholeheartedly behind the Lotus Seven, and he felt that now was the time to consider withdrawing from this market sector. 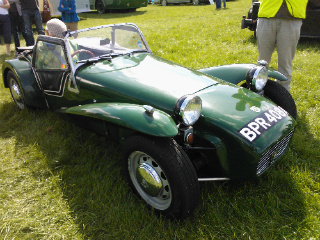 It was at this time that the presence of Caterham Cars was brought more into focus. 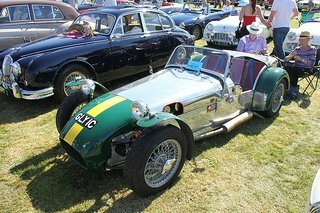 In fact, from the very beginning of the Lotus Seven, they had showed unswerving support for the car, being one of its main dealerships. As time went by, they became more and more involved in the marketing, sales, and promotion of the Seven, with the full support of Colin Chapman. In 1966, things almost came to a head, but they stepped forward to prevent the cars' demise. Finally, in 1967, it was agreed that they would become the sole distributors of the Lotus Seven, and be totally responsible for its marketing and sales. By 1968, it was obvious that the Seven needed a programme of updating which would culminate in the creation of the Lotus Seven Series 3. Between 1960 and 1968, a total of 1,370 units of the Series 2 were built. 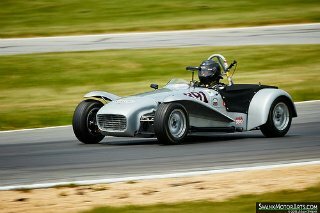 A 1960 Lotus Seven Series 2 in very good condition would fetch in the region of £25,000/$40,000 to £30,000/$50,000. On the other hand, an excellent fully restored example would command around £40,000/$60,000.